This is a print from my original acrylic painting done on canvas. 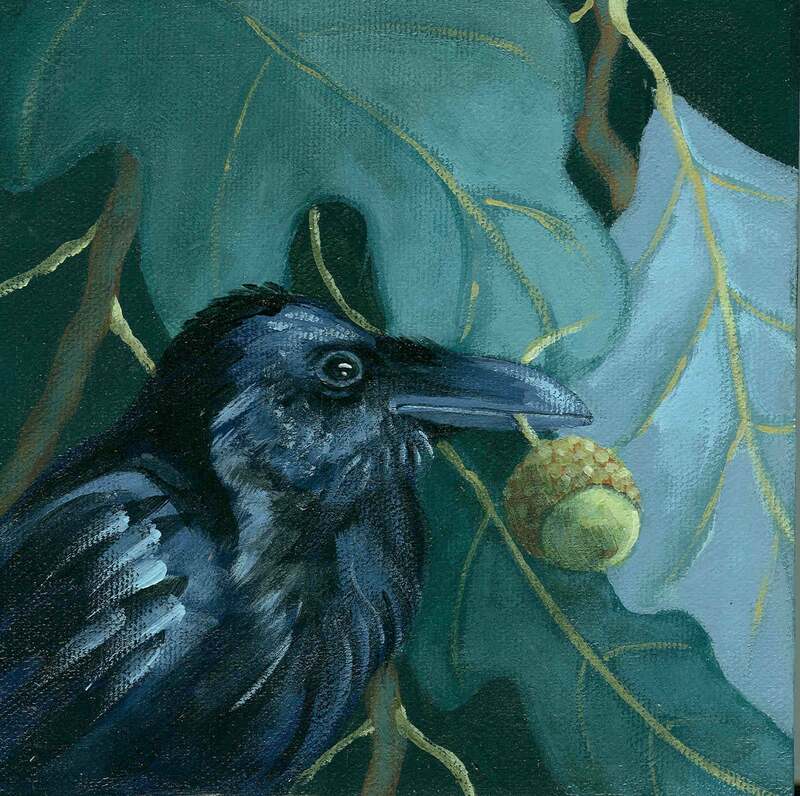 I have a couple of friends who love ravens and acorns. This is one of the designs I'm offering as prints and cards. The print will be on 8 1/2 x 11 Ultra Premium Epson photo paper and will have a generous white border for matting and framing. It will come backed on stiff cardboard and packed in a cello sleeve and hard mailer for protection.